A rising tide may lift all boats—but what happens if you don’t have a boat? Younger Americans tend to have fewer resources to invest in assets such as stock or a home, the very assets whose value has been rising lately. And in the long run, that could be a problem. Unfortunately, many of Jacob’s countrymen did not enjoy the same prosperity. The rising tide of commerce and political influence may have lifted the boats of Jacob and a few more, but many others of that time and place didn’t even have a rickety raft, let alone masterfully crafted boats. Naturally, they got left behind. Though much has changed since the time of Jacob Fugger, unequal distribution of wealth remains a hallmark of modern societies. In the United States, particularly, the wealth gap between the rich and the poor has been increasing over the past two decades. Yet that is not the only trend that is of concern. Equally worrisome is the fact that today’s younger households are not faring as well as young households of prior generations. So why are surging asset prices not pushing up younger Americans’ wealth by as much as their older counterparts’? The answer is quite simple if one takes the time to pore over the United States Federal Reserve’s Survey of Consumer Finances (SCF). The SCF data reveals that young Americans do not hold as many assets as those in their parents’ generation. Hence, they are losing out during the recent rally in asset prices. After all, to benefit from growth in stock and housing values, one needs to own stocks or a home. This generational difference in wealth may have significant implications. From an individual perspective, many younger Americans with neither significant assets nor the resources to invest them will find it more difficult to improve their economic and financial situation than those with more assets. Worse, if the wealth gap persists, it may set the stage not only for an increasingly unequal United States, but also for a poorer one. Comparing higher-income households to lower-income ones confirms the suspicion of growing wealth inequality, which outstrips even the growth in income inequality. In 1992, for example, the median household in the top-10-percent income bracket was worth 92.6 times as much, in real terms, as the median household in the bottom 20 percent of the income distribution. By 2016, however, that ratio had shot up to 248.4. The difference is even starker when we compare households by wealth. In 2016, the median family net worth among the wealthiest 10 percent of US households was $2,386,500, about 23,865 times the net worth of the bottom 25 percent (figure 2). Again, this ratio is much higher than it was in 1992 (1,334). Moreover, during 1992–2016, real median family net worth fell by 8.5 percent per year on average among the bottom 25 percent of households—the only category to have experienced a decline in net worth. That high-income American households are getting wealthier faster than those at the bottom has been widely noted in previous studies.6 Less frequently discussed is that wealth levels also vary by age, and the gap between younger and older households is also widening over time. In 2016, real median family net worth among households with a head of household less than 35 years old stood at $11,000, much lower than that among households with heads in the 65–74 ($224,000) and 75-or-older ($264,000) age groups. While this gap in wealth is natural, as older households have had more years to earn income and accumulate assets, what is worrisome is the increase in the gap over time (figure 3). In 1992, for example, the ratio of real median family net worth among households headed by those 75 or more years old to that of households headed by those under 35 years old was 9.4. By 2016, that ratio had increased to 24.1. During this period, real median family net worth actually fell by 1.4 percent on average per year for households headed by those under 35 years of age, the sharpest decline for any age group; only the 65–74 and 75-or-older age groups witnessed an average increase in wealth during the same period. The overall steady increase in the wealth gap between younger and older households was amplified during the Great Recession, which dented many younger households’ asset values more. For example, households headed by those in the under-35 age group saw their real median family net worth decline by 8.8 percent annually, on average, between 2007 and 2010. Households headed by those aged 65–74 years and 75+ years, while not immune, witnessed a smaller decline in wealth on a percentage basis. A key reason behind growing wealth differences between households in different age groups is divergent income growth. Among households headed by people under 35 years of age, real median before-tax family income has fallen at an average of 0.1 percent per year between 1992 and 2016. In contrast, all other households except the 45–54-year-old age group (-0.04 percent average annual decline) witnessed gains in real median before-tax family income during this period. Moreover, the average growth figures mask some of the upheavals witnessed after the Great Recession, especially among younger households. Households headed by those under 35 years of age saw their real median before-tax family income decline by 3.8 percent per year, on average, during 2007–2010, the sharpest fall among all age groups. And the recovery rate among these young households since then has not been noticeably faster than that of other households (figure 4). Inequality in wealth distribution also results from stock market movements and how much of their wealth families hold in equities.7 A quick look at household stockholding patterns by householder age reveals some interesting insights. Second, while many households have once again started adding stocks to their portfolios after burning their fingers during the Great Recession, households headed by those under 35 years of age have been slower to do so than households in other age groups (figure 5). The revival in households’ stockholdings since 2010 and a steadily increasing stock market has meant that, overall, the real median value of household stockholdings has increased in the past few years. However, because households in the under-35 age group have been the slowest to add stocks to their portfolio, their stockholdings’ median value has grown the least (figure 6), contributing to the widening wealth gap between younger and older households. Finally, despite the revival of equities in household portfolios since 2010, the percentage of households with stockholdings overall is still lower than the figure before the Great Recession. Specifically, the percentage of households holding stocks in all household age groups is still lower than in the peak years of 2004–2007, except among the 75+ age group (figure 5). On a positive note for stock ownership, however, figure 5 also shows a general upward trend since 2013. Even before the Great Recession, homeownership began to lose some of its luster. The share of US families having a primary residence as an asset fell from a peak of 69.1 percent in 2004 to 63.7 percent in 2016. And housing appears to have fallen out of favor across all generations—except among the elderly. Between 2010 and 2016, the percentage of homeowners fell among all household age groups, declining most for the 44–54-year-old age group (by 6.4 percentage points), the 35–44-year-old age group (6.0 percentage points), and the under-35 age group (4.4 percentage points). In contrast, the percentage of homeowners among households headed by an individual aged 75 or more rose from 81.9 percent to 83.1 percent during the same period. Interestingly, while the Great Recession wreaked havoc on homeownership for many households, especially those with subprime mortgages, the slide in the overall homeownership rate started even earlier. Among some household age groups, homeownership has been edging down since 2001–2004 (figure 7), with the downturn of 2008–2009 taking the shine off housing even more. For most homeowners, the real median value of their primary residence went up between 2013 and 2016. However, these values continue to be below what they were in 2004–2007, prior to the Great Recession (figure 8). And young households were hit the hardest by the downturn in home equity. For example, during 2007–2010, among all families that owned a primary residence, the real median value of these residences fell the most for households headed by those under 35 years of age. This, too, has likely exacerbated the wealth differential between younger and older households over time. With the disparity in net worth and income accelerating, the plight of the “have-nots” has worsened. However, today’s “have-nots” are not just the poor; they are also, on average, the young. It remains to be seen if younger Americans’ lower relative income and wealth continue to follow them as they age. If that happens, what then? One worrisome trend that hints at a less robust future is that younger households are much less likely to have business equity as an asset than were younger households in earlier generations. For example, in 1992, when about half of the baby boomers likely belonged to households headed by someone under the age of 35, 10.6 percent of under-35-year-old households held some sort of business equity as an asset (figure 9). By 2016, however, the proportion of under 35-year-old households that held business equity had fallen to 5.6 percent. Perhaps, following the recession, today’s younger households are less entrepreneurial than prior generations due to greater risk aversion. However, there is another explanation: Given their lower wealth and income levels, today’s younger households may simply not be as well-positioned to start their own business as were young people in the 1990s or the early 2000s. Or perhaps, for many young Americans, the businesses they are able to start fall under the category of “gig economy” jobs—self-employment that pays the bills, but does not necessarily pave the way to growing a new business. With lower incomes and perhaps a change in preferences affecting their ability and willingness to acquire assets, such as stocks or homes, or even to start their own businesses, it is not clear that today’s younger households will ever be able to achieve the wealth levels of today’s older households. This would complicate the already tricky question of how to fund social safety nets such as Social Security and Medicare in a way that is equitable across generations. Further, since the vibrancy of the US economy has historically relied on new business formation—especially of businesses whose founders aspire to grow significantly—a dampening of the ability to generate owner equity in high-growth new business may well slow job creation and innovation.9 If that indeed becomes the case, the generation gap in wealth and income, far from being only a young person’s problem, may lead to a poorer future for the United States overall. 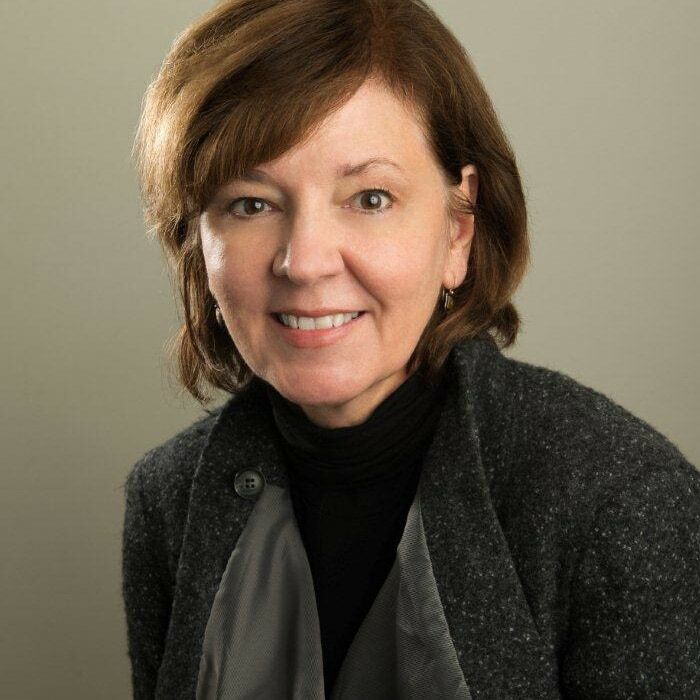 Patricia Buckley, based in Arlington, VA, is managing director for economics at Deloitte Services LP. 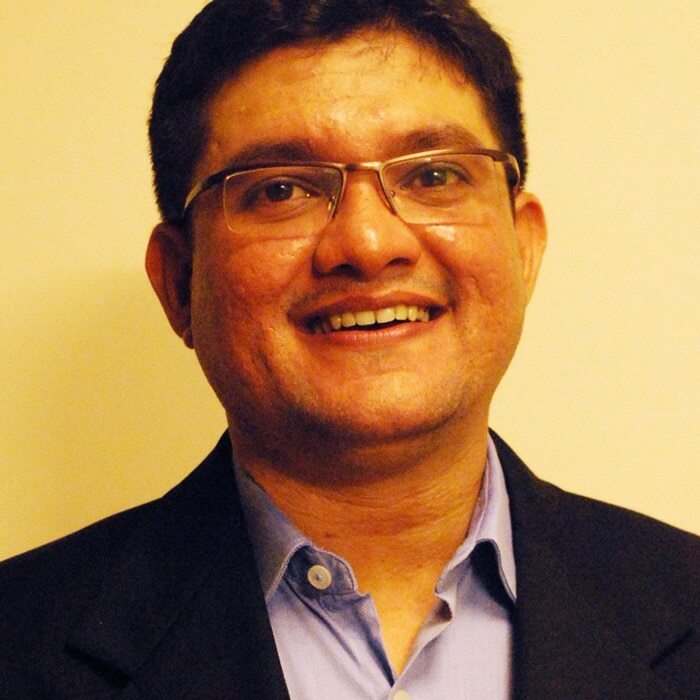 Akrur Barua is an economist with Deloitte’s Research & Eminence team. He is located in Mumbai. Are we headed for a poorer United States? Growing wealth inequality by age puts younger households behind has been added to your bookmarks. Are we headed for a poorer United States? Growing wealth inequality by age puts younger households behind has been removed from your bookmarks.